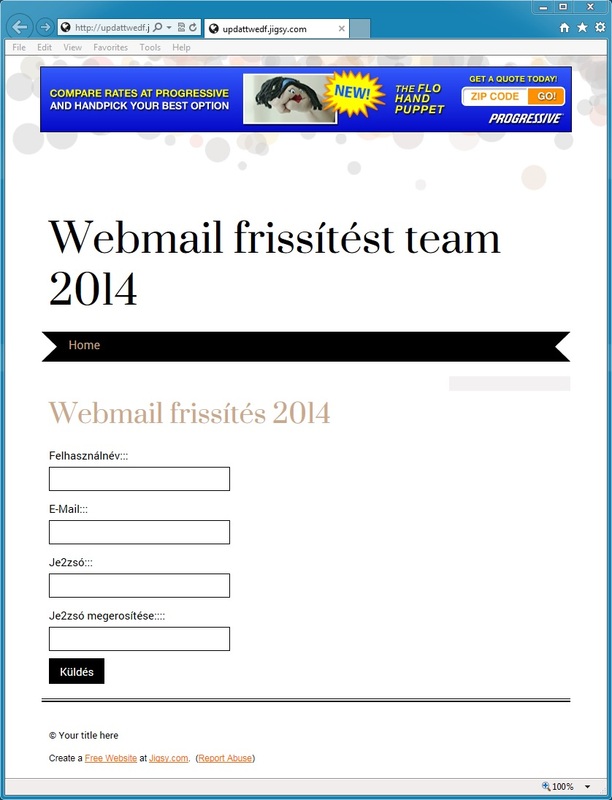 Today, I received a Hungarian phishing email from "webmail frissítés 2014" as a spoofed sender. This is the second Hungarian phishing email I've seen this week. 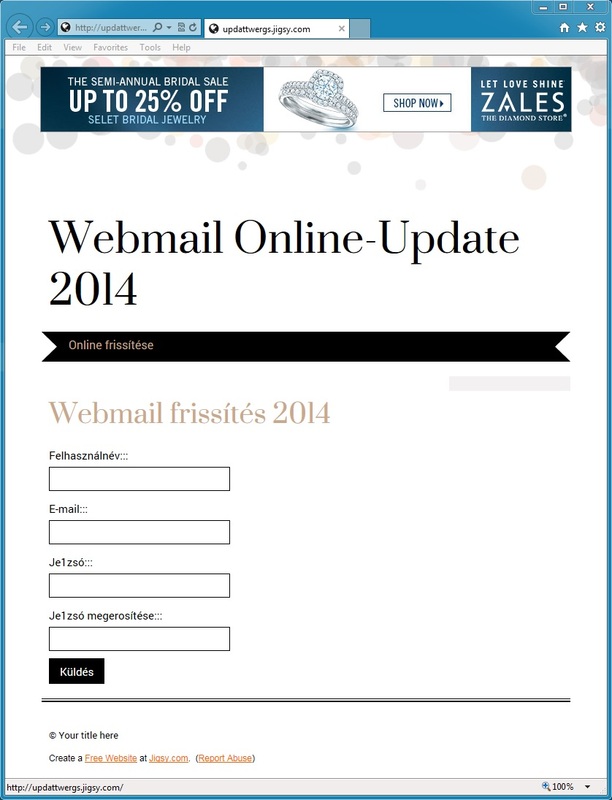 Both have links to fake webmail login pages from Jigsy, a hosting provider based in Canada. These fake sites were established through a free service. The first site was suspended, and I've notified the hosting provider for the second site. These are not sophisticated phishing attempts, and most people would ignore them. I find this mildly interesting and thought I would share. 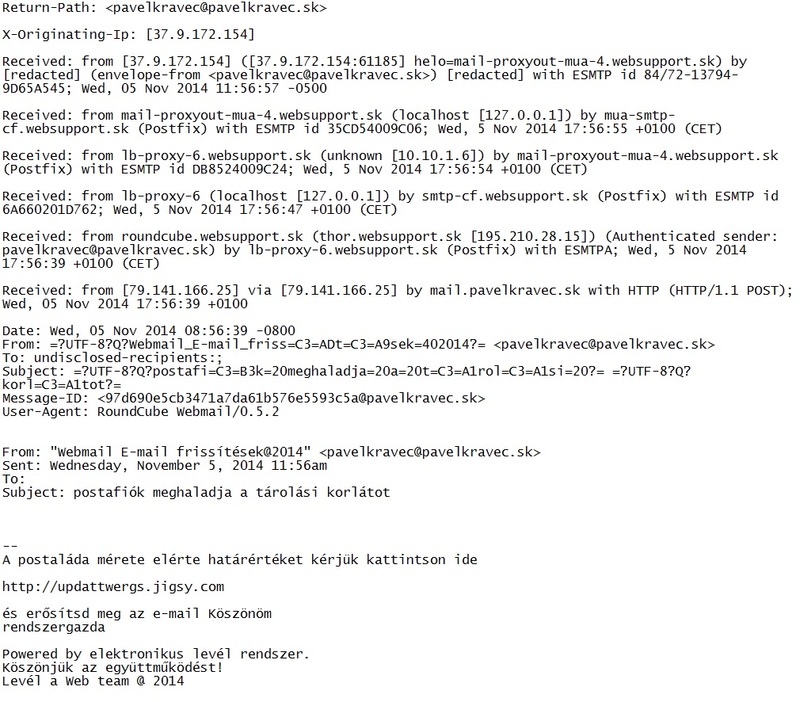 No pcap files or malware for this blog post. Just some information on phishing attempts I've seen this past week.